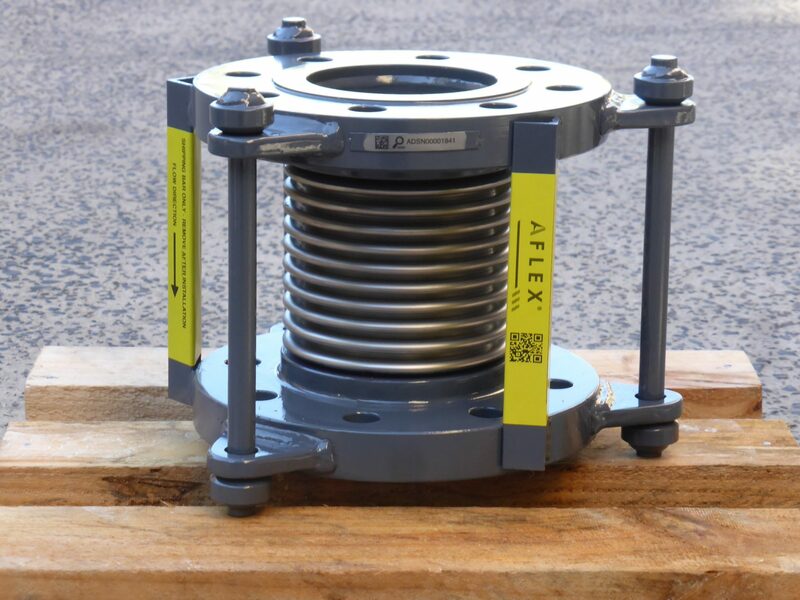 Aflex Tied Expansion Bellows allow for small amounts of lateral deflection without exerting any pressure thrust onto the pipeline. TEB are used to absorb the thermal expansion of a pipe leg at a joint by lateral deflection, as shown in the diagram on the right. The tie rods contain all the pressure thrust from the bellows, preventing it from being applied to the pipe and anchors. This allows for the bellows to be used without thrust bearing anchors at each end of the pipeline. TEB assemblies can move axially and angulate though pressure thrust forces will be applied under those conditions.